LMU-DCOM CME Office is awarded 2018 AOA CO*RE REMS grant to host a two-hour "Pain Management and Opioids: Balancing Risks and Benefits" CME program. SAVE THE DATE: Wednesday, December 5, 2018. LMU-DCOM offers a selection of live and online faculty development programs with a focus on Best Practices in Clinical Teaching. Many offer free and/or discounted CME credit and are available to any health care provider. Please check back soon for upcoming courses. NOTE: AOA Category 1-B credit from online courses are reported twice a year (July and January). 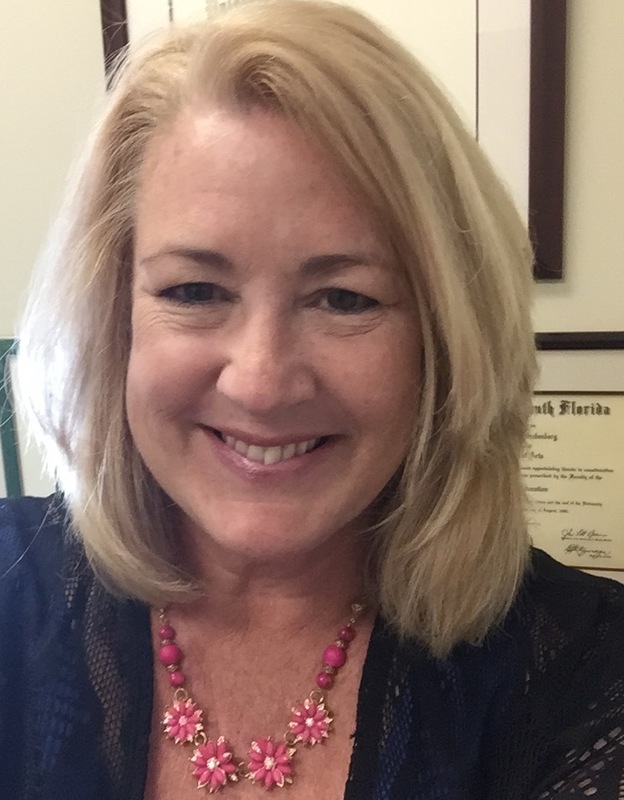 If you would like hours to be reported differently, please email patricia.stubenberg@lmunet.edu. Up to fifteen (15) Category 1-A AOA credits may be earned from real-time, interactice CME or online, on-demand CME programs per CME cycle. The mission of the Office of Continuing Medical Education (CME) at LMU-DCOM will remain consistent with the mission of the DeBusk College of Osteopathic Medicine in its commitment to prepare outstanding osteopathic physicians who are committed to the premise that the cornerstone of meaningful existence is service to humanity. LMU-DCOM is an AOA-CME Category I sponsor accredited by the American Osteopathic Association (AOA) Council on Continuing Medical Education (CCME) to present programs that qualify for AOA-CME category I credit. LMU-DCOM is also a “Joint Sponsor” with the Department of Continuing Medical Education at the University of New England College of Osteopathic Medicine (UNECOM), offering AMA PRA Category 1 Credit™ on many CME activities. 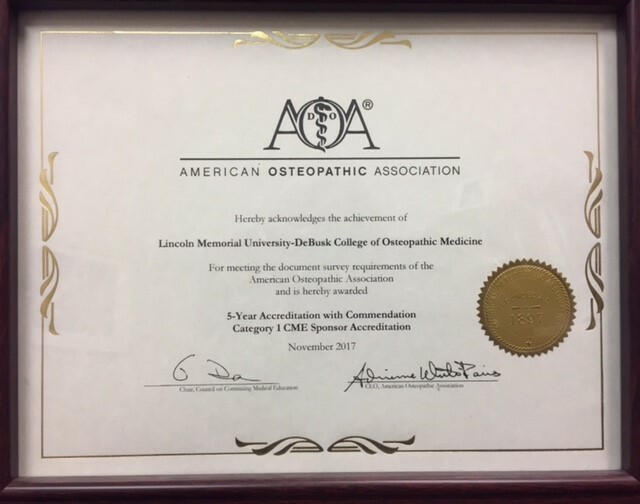 The Lincoln Memorial University-DeBusk College of Osteopathic Medicine (LMU-DCOM) Office of CME earned a perfect score for its continuing medical education activities from the American Osteopathic Association (AOA) November 2017 and has been awarded Five-Year Accreditation with Commendation status as a Category 1 CME Sponsor.